(AFP) Alfonso Cuaron and his 3D space spectacular “Gravity” edged ahead in the Oscars race when the Mexican triumphed at the Directors Guild of America (DGA) awards. “It is truly an honor, and I’m humble. I still have this kind of teen crush (for directors) and it makes me very nervous talking to them,” said Cuaron, 52, as he picked up the top film prize in Los Angeles. The Oscars, the climax of Tinseltown’s glitzy awards season, is on March 2. At the DGA Cuaron saw off Oscar hopefuls Paul Greengrass (“Captain Phillips”), David O. Russell (“American Hustle”), Steve McQueen (“12 Years a Slave”) and Martin Scorsese (“The Wolf of Wall Street”). 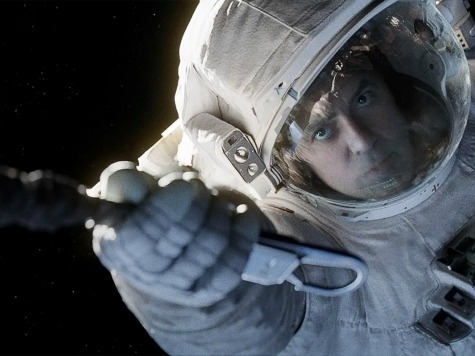 “Gravity,” starring Sandra Bullock, who plays an astronaut stranded in space with George Clooney, tops the Oscars nominations list with 10 nods, along with “American Hustle,” the stylish crime caper. Cuaron was in reflective mood. “What you cannot see from up there (in space) is this bizarre experiment of nature that is the human experience,” he said.